Reliance has come full circle today by launching a revolutionary product in the market similar to their much-loved Reliance CDMA which was available over a decade ago. The price of the Reliance CDMA phone was Rs. 500 and the spectacularly affordable device offered free SMS’s and calls included. Similar to the last time, Reliance has gone with the latest trend in the technology and added those features in their JIO Phone which are only available on the devices which may prove a bit difficult for everyone to afford. This device has the 4G VOLTE and the NFC in it allowing the support of UPI payments on it. It is being introduced as the “India ka smartphone” and with a price of Rs.0 although with a catch. The customers need to shell out a one- time fee of Rs. 1500 which will be refunded to them after the stipulated period of 36 months. Pre-booking for the JIO phone will start from 24th August through the My JIO app and the JIO offline stores. The phone will be available for purchase from September, on first come first serve basis. The phone comes with two plans- the First one is the basic one which will provide all the features like free calling, SMS and unlimited data with a high-speed data limit of 500MB per day. The other plan costs Rs. 309 and it has the additional benefit of mirroring the screen on the TV through a cable and it can be plugged into the CRT TVs as well. Along with this, there is an option to breakdown the plan into two small packs as well, Rs. 24 for the first two days and Rs. 54 per week for the customers and this way they don’t need to give Rs.153 in a single installment. Key features in this phone include the 2.4 inch screen, a panic button, expandable storage and FM Radio. JIO has grown rapidly in the past year and their plan is to cover 99 per cent of the population in the next 12 months hoping to have 4G coverage in India more than the 2G coverage. 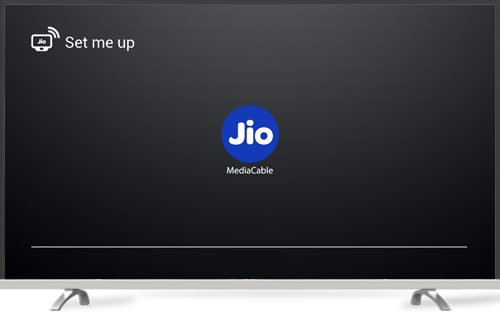 APPS SUPPORT Jio Apps: MyJio, JioMusic, JioTV, JioCinema, JioXpressNews, HelloJio, JioVideoCall, JioShare, JioGames etc. Jio Phone mobile with 2.40-inch 240x320 display powered by 1.2GHz dual-core processor alongside 512MB of RAM and 2-megapixel rear camera. What is “Jio-Xiaomi Better Together Cashback Offer”? The “Jio-Xiaomi Better Together Cashback Offer” offer entitles all existing and new Jio subscriber to a cashback of Rs. 1000/- after 13 consecutive successful recharges of Rs. 198/- which are performed on Xiaomi Redmi 5A handset. Rs. 1000/- cashback will be in the form of 10 vouchers of Rs.100/- each which can be redeemed, one at a time, against Jio recharges of Rs. 309/- or above plans or against Rs. 201/-or above data add-ons, via MyJio app only.